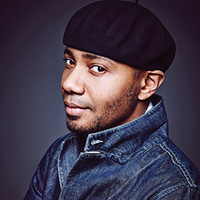 Paul D. Miller aka DJ Spooky, discusses racial imagery, social circuitry, and cultural (mis)representation using examples from his film “Rebirth of a Nation,” a remix of D.W. Griffith's 1915 epic film “The Birth of a Nation.” Miller’s re-telling of this overtly racist story depicted in the Reconstruction-era Southern US hurtles Griffith's images into the 21st century, a sociopolitical landscape that has evolved beyond all expectations. This event, part of the Racial Justice: Art(s) and Activism lecture series, honors Georgetown University's recent initiative to highlight art, activism and racial justice by focusing on work by literary, visual and performance artists whose art serves the ongoing struggle to produce new forms of racial freedom. Thursday, March 21, 2019 from 3:30-5:00 p.m. Excellent. I’d like to stay in contact for similar events.